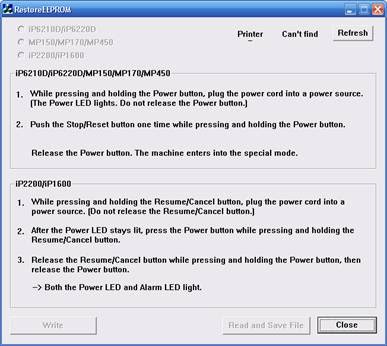 This software can be used to restore EEPROM for for Printer Canon iP2200, iP1600, iP6210D, iP6220D, MP150, MP170, and MP450. I don’t know this software worked or not because I not yet tried the software. In you get problem on EEPROM on your printer, maybe this software can solve your problem.